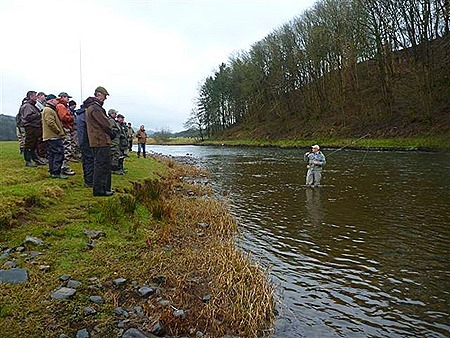 First, a huge thank you to all the members who turned out for our Open Day on the Derwent at Cockermouth on Saturday. It was great to see so many of you there, and necessary given the 25 members of the public that attended. It was a great day in spite of the rather cold and damp conditions, and we have had a fantastic response from those that came along. Karl Humphries, our open day organizer, proclaimed it the best yet. These events are hugely important for the AAPGAI brand, not just to appeal to budding instructors but to show the public what AAPGAI is all about – the level of skills, the clarity of instruction and the openness and friendliness with which we operate. There’s nothing really to compare with these events in the UK and they do us a power of good. It’s also one of the rare occasions we have to get together for a cast, to share knowledge and have some fun. 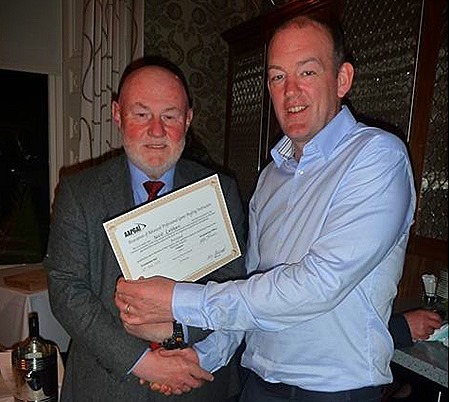 I know many of you came from far afield for the day and Illtyd, Karl and the rest of the AAPGAI committee were delighted by the turnout and grateful for all your efforts. 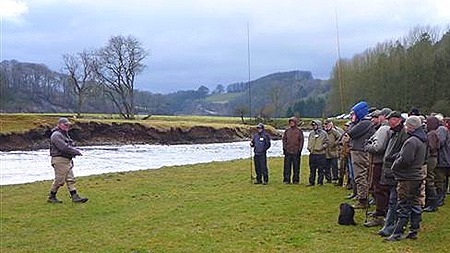 On the day we had some excellent demonstrations – Illtyd Griffiths on skagits, Clive Mitchelhill on anchors and anchor points and Glyn Freeman on the double spey – while Paul Little performed his customary magic at the vice in the hut by the river to ensure all the AAPGAI disciplines were on show. Jim Fearn and John Legg, from Guide Fly Fishing, also helped by providing a wide range of outfits for everyone to cast, while David Moore came loaded with Loop lines. I think that says it all, really. And, of course, our thanks to Karl for organizing the day and making it run so smoothly – it’s not easy, he just makes it look that way. On the assessment front, not everything went quite so smoothly! Weather conditions were brutal on Friday with wind, continuous rain and a particularly impressive hail storm. Most of the assessments will, I think, be chalked up to experience by the candidates. We’ll look forward to seeing many of them again in the Autumn. The main positive note was that we were delighted to welcome Neil Lobban, a PE teacher from Tyneside, as a new provisional member. Neil performed a very impressive Provisional Salmon assessment and I’m sure he will prove to be a valuable member. We’ll look forward to seeing him progress through the AAPGAI qualifications over the coming years. In other news, Karl Humphries has been working hard over the winter to put together a long list of shows at which AAPGAI will be represented. I’ll circulate the list and the details soon, so you will have the opportunity to join the AAPGAI teams at your local shows.